Jim Emerton is a lifelong lover of the wilderness and the creatures of the countryside. Though he is best known for his prowess as a breeder of racing pigeons, Jim is also a great enthusiast of wildlife and in his day was a keen wildfowler. 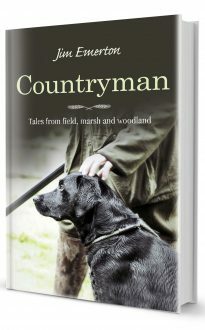 In this book he recalls the joys of an innocent childhood in the Lincolnshire Wolds spent watching and sometimes hunting for the wild birds and animals that fascinated him and some of the great country characters he came to know. He also reflects on the new and more philosophical perspective on nature and the wild which the years have given him.